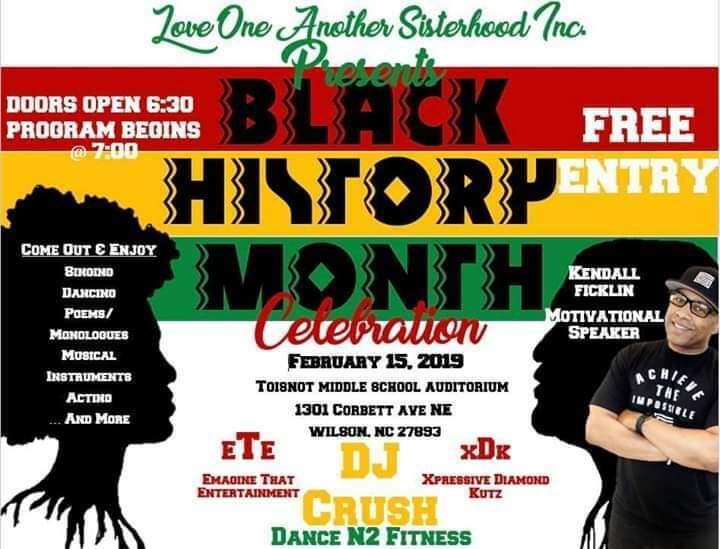 Get ready for an entertainment-filled evening in Wilson, North Carolina, as the nonprofit Love One Another Sisterhood, Inc. hosts a free Black History Month Celebration. 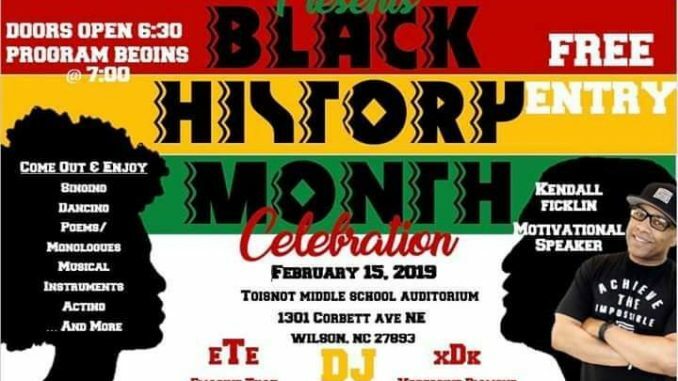 Come and enjoy a night of music, poetry, dance, and acting on Friday, February 15, 2019, starting at 7pm. With a goal to pack the auditorium at Toisnot Middle School, 1301 Corbett Avenue N, Wilson, NC, this celebration is organized by the teens of Love One Another and the nonprofit’s founder, Ruby Yalonda. The evening’s special guest is motivational speaker, Kendall Ficklin. Doors open at 6:30pm. There will be several vendors on-hand before and during the event. Love One Another’s nonprofit work is geared toward teenage females, ages 13-18. The group provides a platform for young ladies to be able to experience new things in life. They are able to participate in several community events and gain volunteer hours. Love One Another holds activities to enhance different strengths and sometimes build weaknesses. See more about this program, visit www.facebook.com/loveone1another.